Shadow box displays hold treasured items including keepsakes such as a prom corsage, birthday roses or flowers from a wedding bouquet. 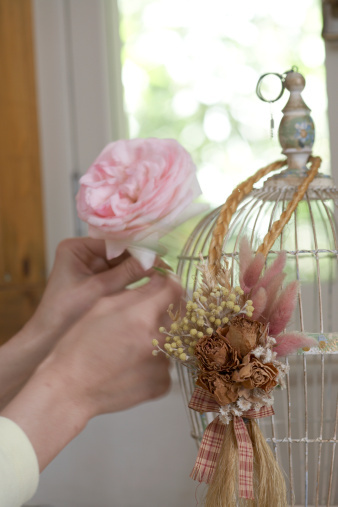 Dry the flowers that you plan to store in a shadow box for several days to weeks before assembling the display. The best way to dry shadow box flowers is the hanging method. The flowers maintain a dimensional shape when hung upside down to dry. The flowers are already tied into small bundles, which will make it easier to attach them to the box interior. 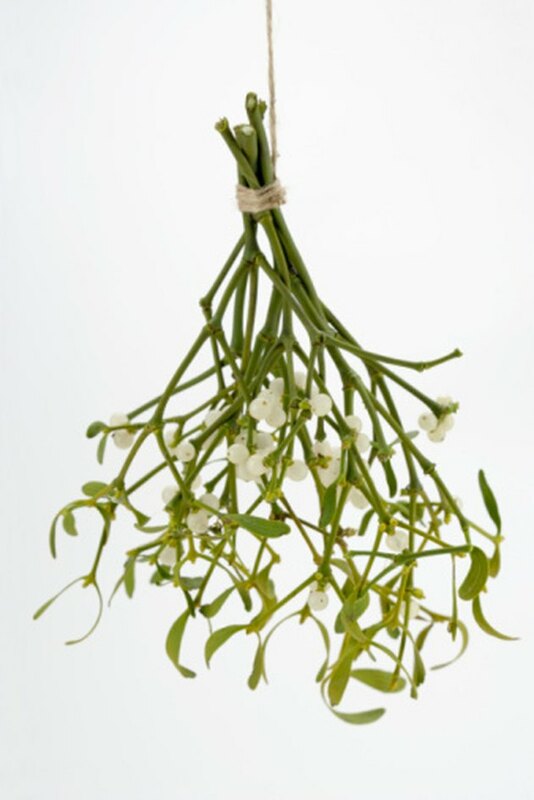 Hang flowers for drying in the same fashion that mistletoe is hung. Remove the flowers from the water or hand-held bouquet. Pat dry with a paper towel. Cut the stem to a length of 6 inches or shorter if the shadow box is small. Place two or three stems together and tie them into a bundle. Hang the flowers in a cool, dark place for at least a week. The flowers should be suspended upside down in an area where air can circulate around them. A length of taut clothes line, wire or wooden clothes drier rack are beneficial for drying flowers. The rope or wire should hang about 6 inches from the ceiling. Touch the flowers to make sure that the petals have a crispy, brittle feel to them before taking them down from the hanging position.